Postcard and T-Shirt concept, illustration and design for the KlimaKunstSchule (Climate Art School). 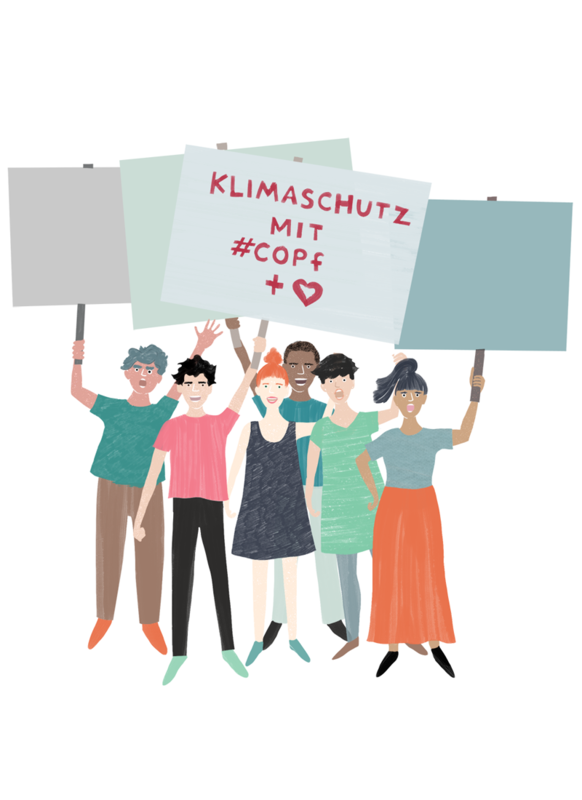 The postcard is part of the KlimaKunstSchule ‘Climate Ideas’ campaign, and was printed to be distributed at Klimale 2015 in Eckernförde. 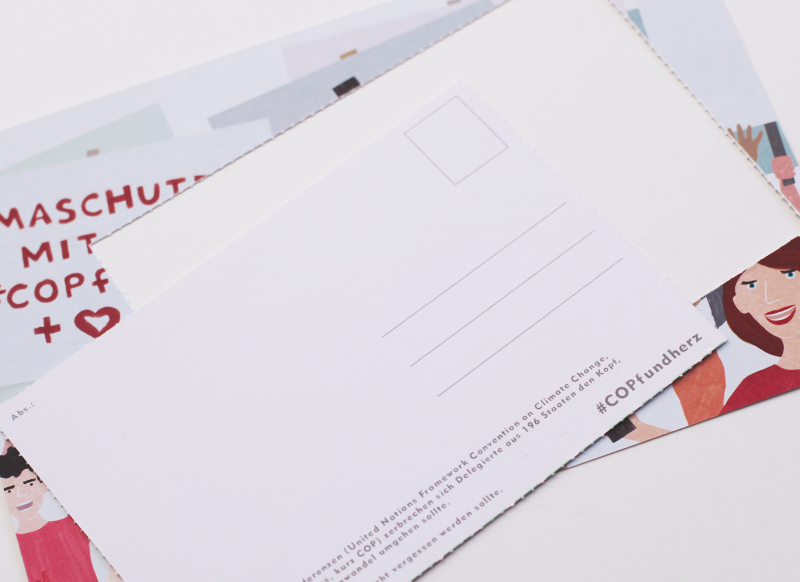 The postcard section was perforated to help indicate that the postcard should be used. The T-Shirt design was also created as part of the campaign, and was worn by participants at the event. The Climate Ideas campaign is aimed at teenage and young adults. It focuses on raising awareness about climate issues, and to encourage creativity. 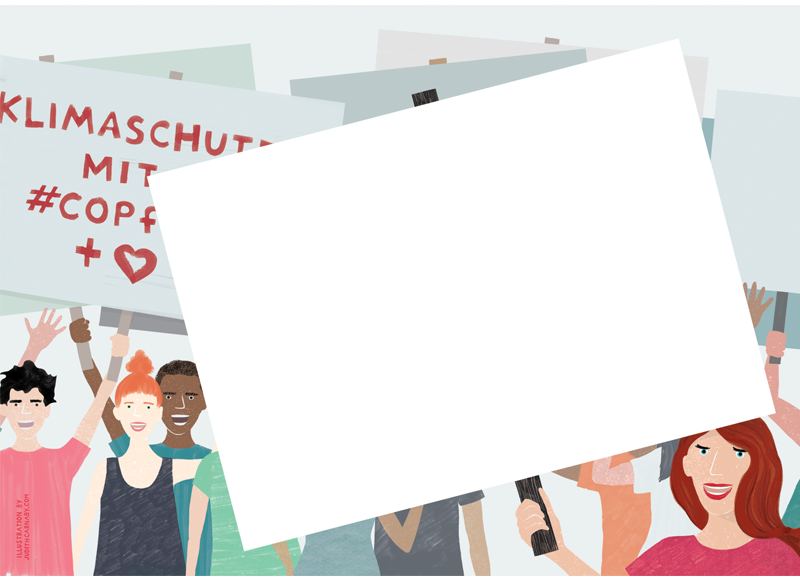 The action I illustrated was to encourage young people to add their voice to the protests on climate change by decorating and sending a postcard to someone they think needs to take action on the issue. 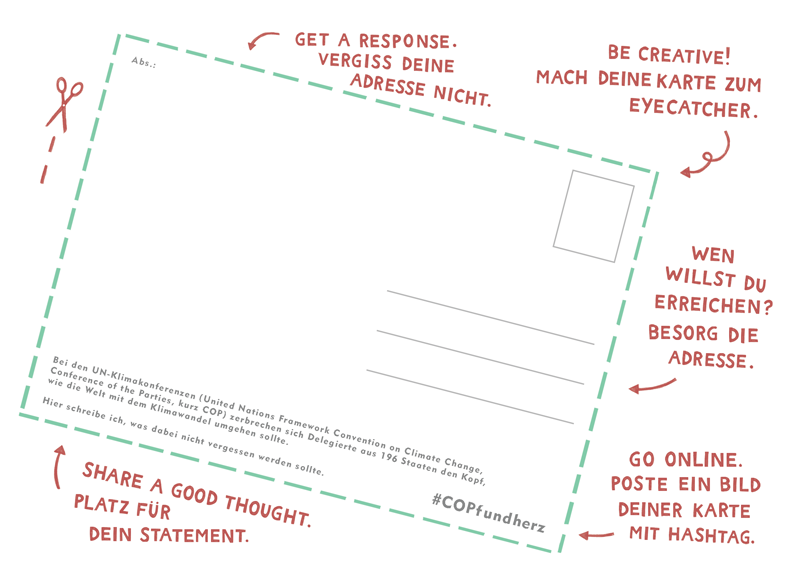 The T-Shirt design is based on the campaign #COPfundherz, which is also detailed on the postcard. 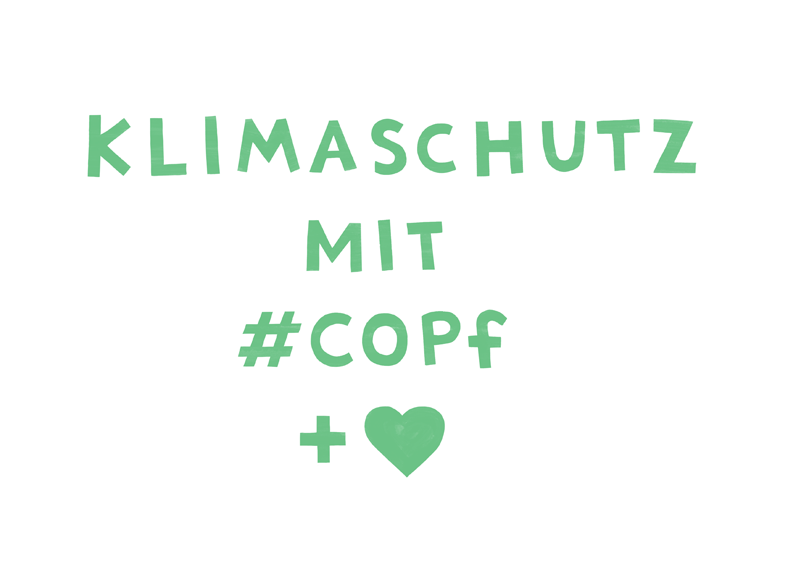 A German joke, the text means ‘Save the climate with your head and heart’, with COPf (in German Kopf means head) being a reference to the United Nations Framework Convention on Climate Change, Conference of the Parties – COP for short.